result of our unique mission. A steadfast commitment to excellence encompasses everything we do. We value and celebrate individuality and community. We embrace different experiences to stimulate a vibrant community. At the same time, we help our students become independent, self-confident learners and good citizens. We do this through a rigorous college preparatory program that emphasizes balance in academics, arts, and athletics. As a co-educational school, Dr. King Charter School embraces the worlds most basic form of diversity–males and females working together. 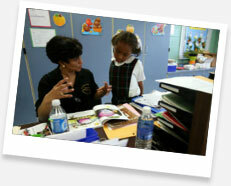 We believe co-educational education fosters personal and social maturity. Our students learn to honor the fundamental compatibility of difference, achievement, and equality. Understanding, respect for, and collaboration between the genders laid a foundation for life in the real world. In the long term, such growth helps our students become successful adults, parents, and citizens. Please contact the Admission Office at (504) 940-2243 before submitting an application.